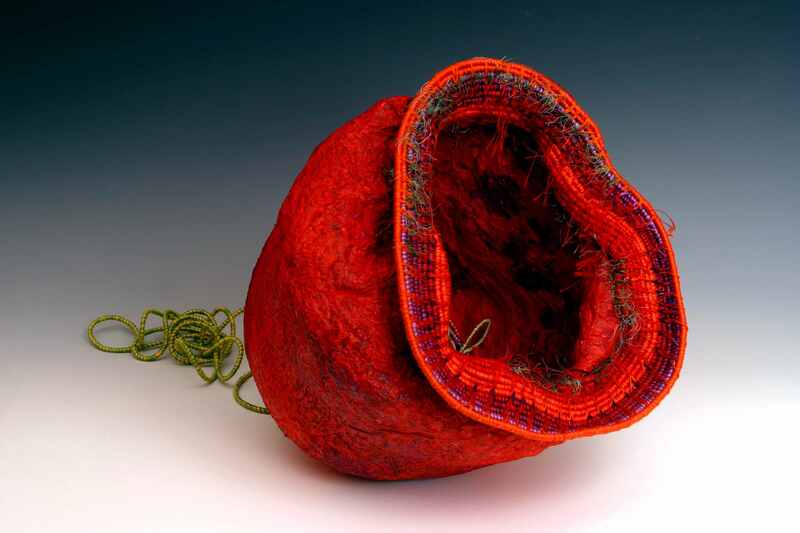 The vessel is made from abaca pulp and dyed with pigments and layering of pastels. The rim and base are woven with threads. The interior of the vessel is filled with woven coiling. Currently on exhibit at the Chautauqua Center for the Visual Arts "The Art of Fine crafts in America" .